Autism Initiatives was keen to reduce their emissions, and required a professional and smooth-running install that didn’t interrupt their daily operations. The site was complex, with Feed it Green work having to be coordinated safely around a constant stream of visits to site. As live retrofit specialists, Feed It green were chosen to install this project. 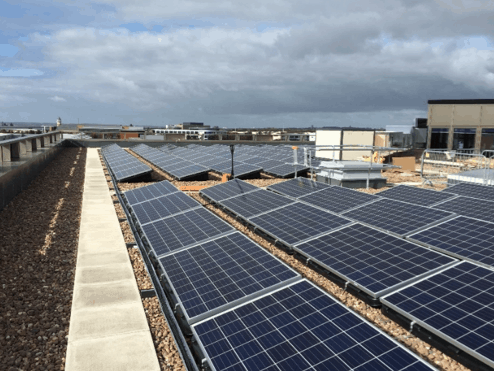 To scope, survey, design, supply and install solar panels, the project involved a very tight timescale of only five weeks from contract signature to full commission in order to meet the Feed-in Tariff deadline. The project has been described as a “win-win-win”. Autism Initiatives saw their bills reduced by 122,000kWh per year. This project was typical of Feed It Green Solar’s large scale work, with modules retrofitted onto roofs. It was a great demonstration of the benefits of scale, and our project and supply chain management capabilities.